Our jaws are an extremely important and underappreciated part of our bodies. They help us eat and speak (and kiss!) – so when they’re not functioning properly, it has a huge impact on our lives. TMD disorders can cause pain in the jaws and face, problems with the joints of the jaws, and issues with muscle movement. We can treat these disorders so that you can get back to normal faster. TMD symptoms can vary widely, including issues that may not seem to be related to the jaw: chronic headaches, neck and shoulder stiffness, ringing in the ears, or even dizziness. The jaw or jaw muscles may feel sore or painful, especially in the morning or when eating or yawning. Popping or clicking noises may occur when opening and closing your mouth, or it may even be difficult to do so. The teeth may feel sensitive for no apparent reason. TMD is often caused by a jaw dislocation resulting from an injury or from chronic grinding of the teeth, as well as arthritis or muscular imbalances. The way the teeth fit together in the bite can contribute as well, which may affect the way that it’s treated. Diagnosis can be tricky because of the different causes of TMD and ways that the condition presents itself. Dentists will perform a thorough examination, listen to and test your symptoms, review complete medical records, and sometimes take blood tests to rule out other causes of symptoms. If your condition can’t be diagnosed using these methods, x-rays will be taken and other tests such as MRIS, CT scans, and bone scans may be done until a proper diagnosis is reached. The pain and other symptoms of TMD usually go away when the underlying cause heals or receives treatment. Splints, hot and cold treatment, and medication may help to relieve swelling and pain if the condition was caused by an injury. Home remedies like eating only softer foods and doing stretching exercises may also help. If stress or teeth grinding are causing symptoms, relaxation techniques and a mouth guard may help to treat the disorder and relieve symptoms. If these less invasive techniques are unsuccessful, TENS or trigger point injections may be used to relax the muscles of the face and provide pain relief. If all other options are exhausted, surgery may be considered. 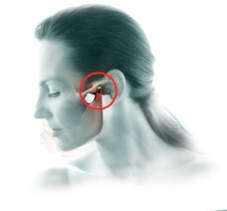 Surgery may be performed to remove scar tissue or to reposition the discs that cushion the jaw bone. Our team has the experience and qualifications needed to treat TMD disorders. If you think you may have one, call today to schedule an appointment. Yes, TMD can be a cause of headaches, especially if they are chronic. Does grinding my teeth cause TMD? Yes, grinding your teeth overnight is a leading cause of TMD and should be stopped as soon as it is recognized. What are some things that I can do at home to help with my TMD? Is jaw surgery required to treat TMD? Surgery is not very common to treat TMD as it can often be resolved with a few lifestyle changes. However, if the case is severe, jaw surgery may be necessary to get you back to living your normal, pain-free lifestyle. Our dentists will assess any issues causing your TMD and fix them according to your specific situation. Get back to living a pain-free life.